Southwark Bridge Road is a road in Southwark, London, England, between Newington Causeway near Elephant and Castle and Southwark Bridge across The River Thames, leading to the City of London, in a meandering route. It was created by connecting a series of other streets to provide access from the south to Southwark Bridge in 1819, which as a private venture was not able to use the publicly financed road system which had been created to improve access from the south to the City and the Westminster areas by the building of Westminster Bridge and Blackfriars Bridge in the late 18th Century which junction of routes combine at St George's Circus. This connection did not come about until the creation of Southwark Street decades later. To the west at the southern end is the campus of London South Bank University. The Ministry of Sound, a well-known nightclub, is in Gaunt Street, just to the east. 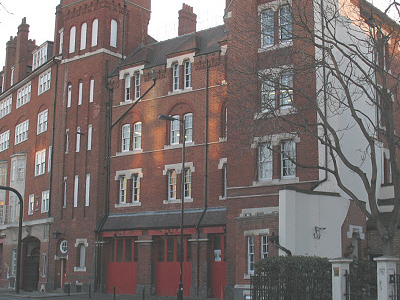 Halfway up to the west is the London Fire Brigade Museum. Also located here is the Southwark Playhouse, a 90-seat studio theatre. At the northern end near the river are The Rose Theatre Exhibition, the Financial Times headquarters and Anchor Terrace, a Georgian building standing on the site of Shakespeare's original Globe Theatre. The road is designated the A300. Here's the our members favorite photos of "Famous Streets near London Borough of Southwark". 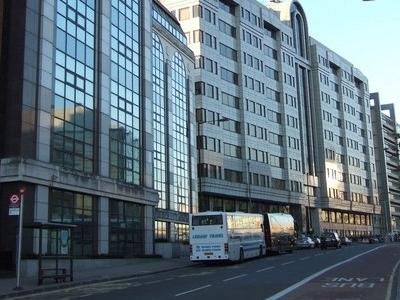 Upload your photo of Southwark Bridge Road!